This entry was posted in Black and white, Landscape, Photofriday noteworthy and tagged 1x.com, Black and white, botanical, bright, cold morning, color, colors, day, fall, freeze, frost, frosty, frozen, garden seats, image, morning, naked trees, nature, noteworthy, onexposure, outdoor, outside, photofriday, plant, recent snow, sea, silence, simmetry, sky, snow, snowfall, sunny, sunrise, tree, trees, white, winter, winterly. Bookmark the permalink. Great composition.. Really like this image. Amazing b&w composition ! Beautiful ! Amazing capture. Congrats on photofriday! Beautiful image, congrats on winning the noteworthy image on PhotoFriday, well deserved. What a great winterfeeling. I love it. Woow! A breathtaking view!! Love b&w on this photo! Great work, thanks for sharing. Great image! Simple & beautiful. By the way, thank you for making a comment on my photoblog. You are very welcome to do so again! Perfect to be printed and putted on a wall. Very nice picture! What a beautiful image, very nice! Che bella! non vedo l’ora che si inverno per fare due scatti con la neve! 1X (onexposure) is a terrible place ! don’t go there if you’re not sure of your talent :-)))) but it’s like a consecration to have a picture accepted ! 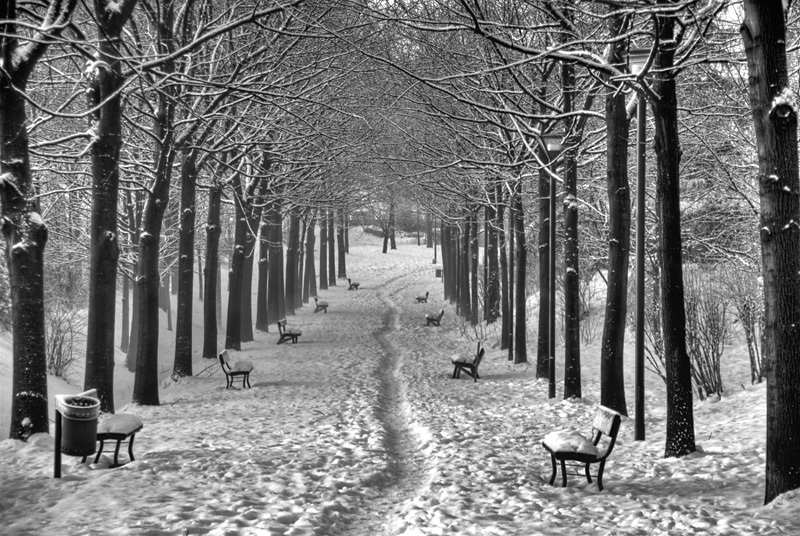 Very striking image of a snowy winter. The path leads us in nicely.